Yep Dr. Seuss, that master smith of rhyming words for kids, lived atop a hill called Mt. Soledad in La Jolla (north of downtown San Diego) where his fantastical world of Cat in the Hat and other memorable characters came to life for readers of all ages. I’ve always been a big fan of Dr. Seuss whose real name BTW is Theodore (Ted) Seuss Geisel. His widow Audrey still lives in lovely seaside La Jolla. Every year in celebration of Dr. Seuss’ birthday on March 2, the aptly named Geisel Library at University of California at San Diego (UCSD) in La Jolla exhibits selections from their Dr. Seuss Collection of over 10,000 items(! ), including his drawings, rough drafts, notebooks and other cool memorabilia. 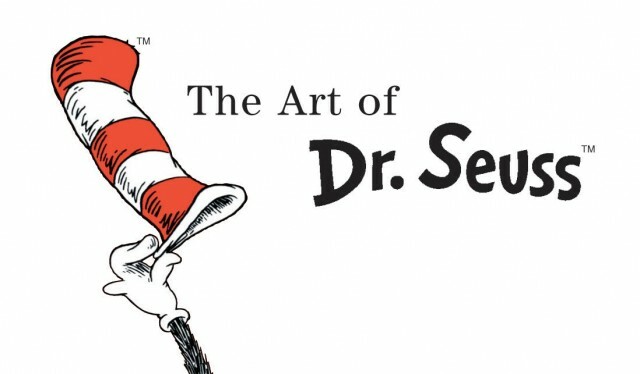 It’s the world’s largest repository of original works by Seuss. Last year Mrs. Geisel substantially added to the collection, donating an additional 1,500 items from his personal archive! 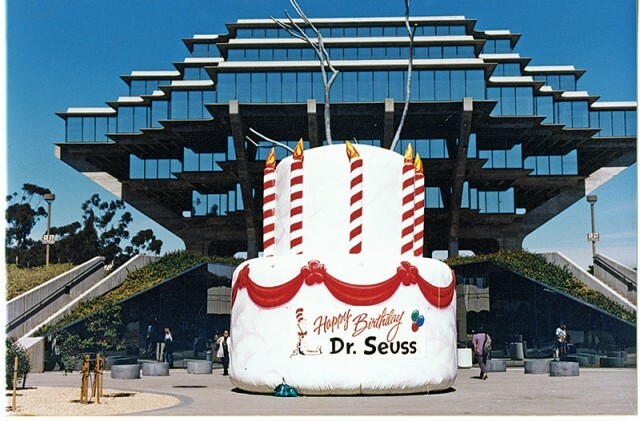 Look for an announcement of next year’s big b-day bash on Geisel Library’s news page after New Year’s. 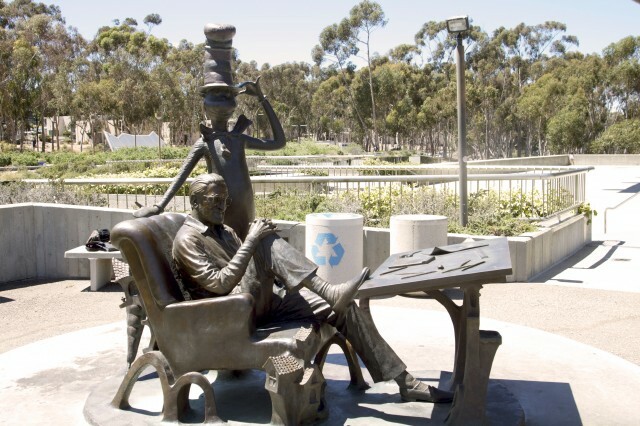 In the meantime, next time you’re in La Jolla, check out the life-size bronze sculpture of Dr. Seuss and a towering 7 ½ foot Cat in the Hat in front at the library. Seuss selfies are encouraged! 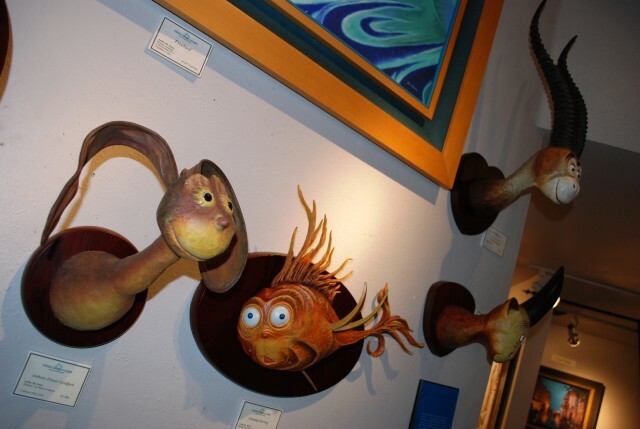 In the charming Village of La Jolla, the Legends Gallery displays some wonderful imaginings in its “Secret Art of Dr. Seuss” exhibit. Visitors can view the sophisticated, technically accomplished and unrestrained side of Seuss’ talent, including lesser-known paintings, illustrations and sculptures from his Unorthodox Taxidermy collection (a fun fav!). 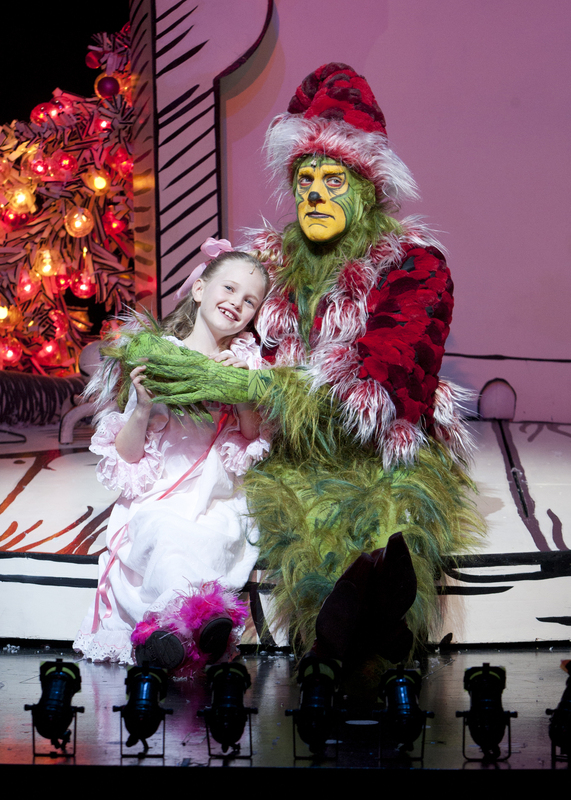 And though it’s not in La Jolla, I should mention the whimsical annual Dr. Seuss’ How the Grinch Stole Christmas! musical that takes place each holiday season at The Old Globe Theatre in Balboa Park. It’s a magical must see for the whole family! See you in San Diego, Dr. Seuss fans! This entry was posted in Arts & Culture, Attractions, Family Vacations, Insider Tips, San Diego Events, Tours & Sightseeing and tagged art, balboa park, Cat in the Hat, christmas, dr. seuss, gallery, geisel library, Grinch, holiday, Horton, la jolla, old globe, theater, UCSD by Robert Arends. Bookmark the permalink. Pingback: Jolly Good Times in La Jolla this Holiday Season!